In the past 5 years, James Wan and Warner Bros. have managed to turn a $20 Million horror film into a Cinematic Universe juggernaut. Now, it appears the story will officially come full circle. Vera Farmiga & Patrick Wilson of ‘The Conjuring’ will be in ‘Annabelle 3‘. The pair will be reprising their roles as paranormal investigators Ed & Loraine Warren. Annabelle 3 is set to be released in June 2019. With ‘The Conjuring 3′ also announced with 2020 release date, you can’t help but wonder if the two films will lead into one another. Either way, I love what Wilson and Farmiga have done with their characterizations of the Warrens. Seeing them return to the roles is cause for excitement from me. 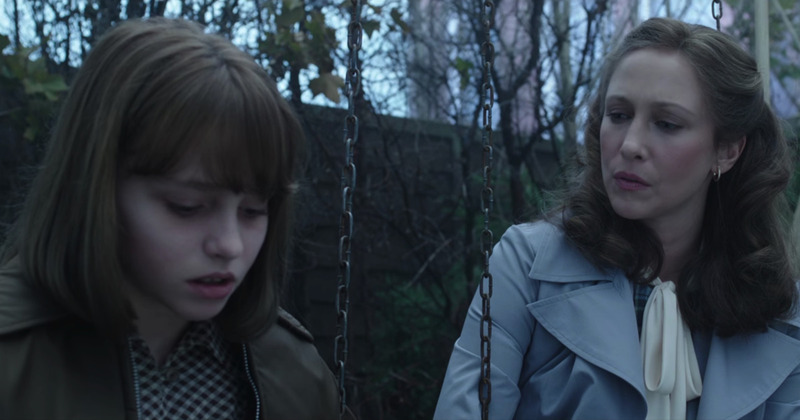 Are you happy to see Wilson and Farmiga return to the Conjuring Universe? Do you think the Nun will show up with Thanos and complete the crossover? let us know in the comments and be sure to checkout our homepage and follow us on Facebook & Twitter. Always check back with Boom Howdy for more up-to-date news, reviews & podcasts!